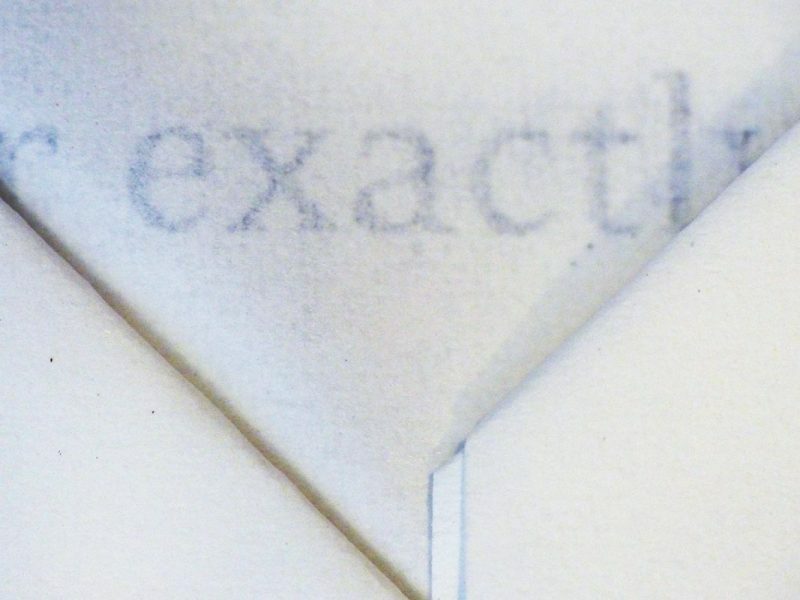 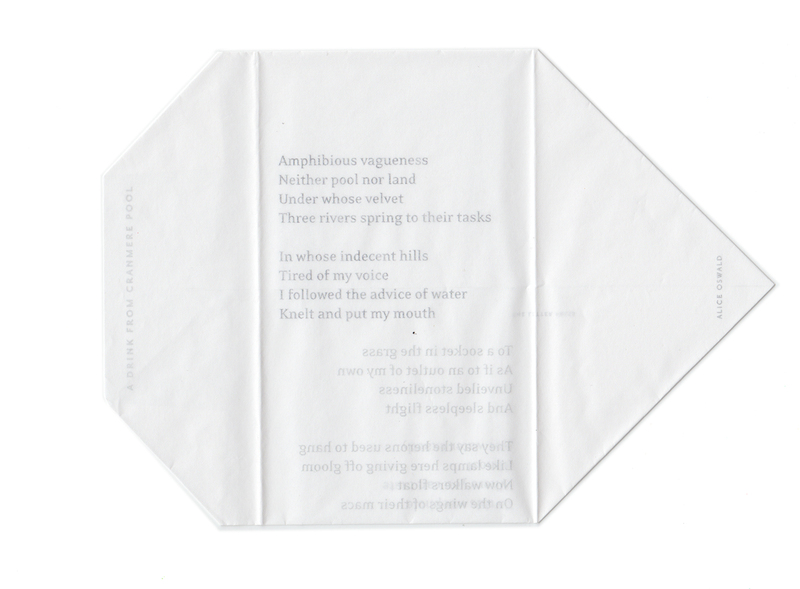 A single translucent A4 leaf folded down to make a self-containing envelope 88mm x 160mm. 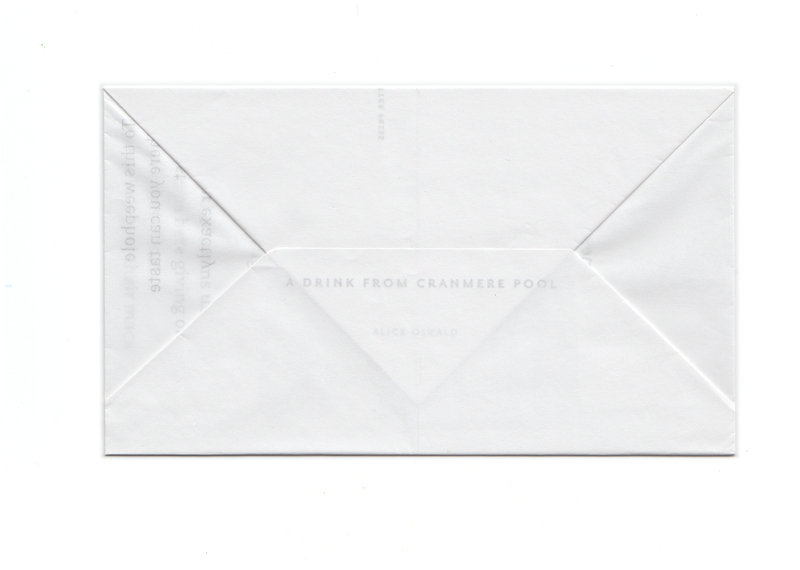 The Letter Press handmade a small translucent edition of the poem A drink from Cranmere Pool for the Museum of Water installation at Somerset House in June 2014. 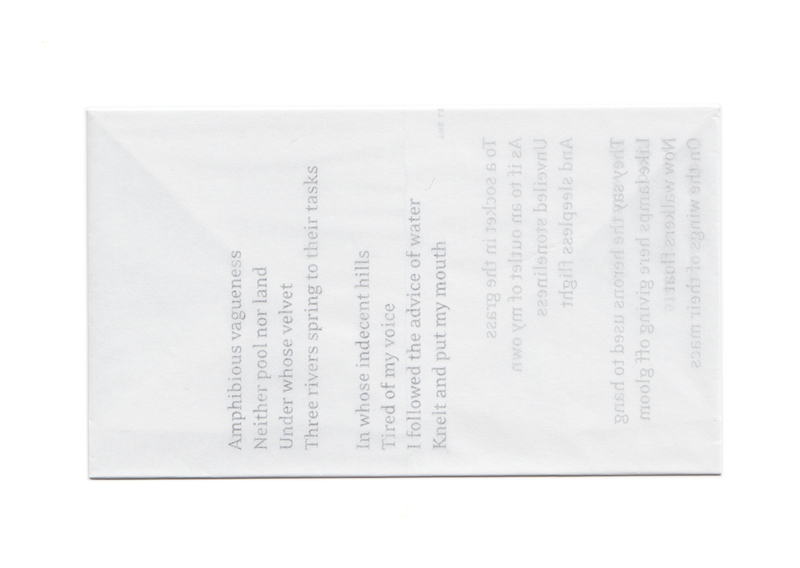 Commissioned by The Poetry Society, the poems were offered to visitors to the Roman Baths at Kings College.